More copies of a single QR Code with different links is also possible. 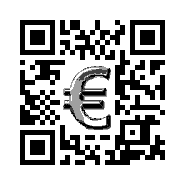 For example a QR Code with logo, where one code contains a link to the website and a second holds a telephone number and a third a email address. An example of this can be seen in the Re-Use section. 10 codes access € 20,- (excl Tax). 50 codes access € 75,- (excl Tax). 100 codes access € 100,- (excl Tax). 500 codes access € 200,- (excl Tax). The graphic that should be inserted to the QR-Code. 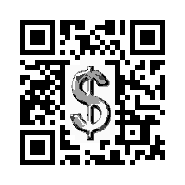 Text that should be inserted in the QR-Code graphics. Number of multiple links if applicable. Your (company VAT, chamber of commerce) details. Some of the Custom QR Codes shown in the gallery are more generic pictures. These QR Codes can also be ordered, where only the link of the QR Code is changed to your specification. If a code is not part of the store yet, use the contact form of the web-shop to request a placement.